Big food companies vs. the Ministry of Health–Is banning sugary drinks a step in the right direction? Food Industry Asia (FIA), an industry group made of food companies such as Coca-Cola, McDonald’s and Nestle, is questioning the Ministry of Health’s (MOH) proposal of banning sugary drinks and imposing a tax on importers and manufacturers, citing scientific research that say a ‘sugar tax’ would have a limited effectivity in having people drink fewer sugary beverages. FIA asking for other possibilities for addressing the health issues that the MOH is seeking to address, specifically diabetes, which almost 1 out of 9 Singaporeans suffers from. 3) Higher taxes on the importers and manufacturers of sugary beverages in order to lessen the content of sugar in such drinks, and making them so expensive that people would buy less of them. “The objective of imposing duties on sugar-sweetened beverages, if introduced, is not for revenue generation, but to shape the behavior of manufacturers and consumers,” reads the MOH statement. 4) A complete ban on high-sugar drinks, thus making them completely unavailable. MOH contends that “These measures aim to accelerate industry reformulation to reduce sugar levels in pre-packaged sugar-sweetened beverages, and empower Singaporeans to make informed and healthier choices,” and more on the topic can be seen on the REACH website. The group believes that “Consumption habits are hard to change and an outright ban on pre-packaged sugar-sweetened beverages will not guarantee an overall fall in sugar intake as consumers may simply choose other foods that can satisfy their needs,” and that preventing diabetes and other similar diseases requires more than controlling sugar consumption, but should factor in other lifestyle choices such as a balanced diet and exercise. Still and all, the statistics from the MOH are unnerving, since as many as one-third of Singaporeans could develop diabetes, and the cost of treating it reaches up to over S$1 billion annually. Moreover, diabetes is connected to other serious diseases like kidney failures, stroke, and heart attacks. Each Singaporean, on average, takes 60 mg or 12 teaspoons of sugar every day, the majority of which comes from sugary beverages. The World Health Organization is likely to side with the MOH on this issue, lauding a similar endeavor in the Philippines recently, where almost 6,000 deaths, 8,000 strokes, and over 10,000 incidents of heart disease in the next 20 years could be prevented. 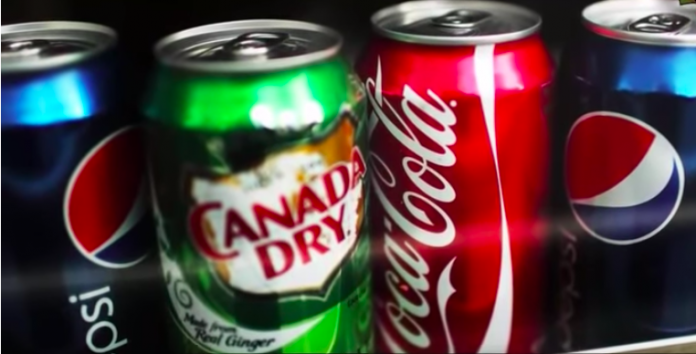 WHO researchers say, “The new sugar-sweetened beverage tax may help reduce obesity-related premature deaths and improve financial well-being in the Philippines. Moreover, health care savings could reach up to US$627 million, and additional revenue, US$813 million. Hungary, Mexico, France, the UK, and Belgium have also adopted similar measures, which have actually been in place in countries in Scandinavia for years. In Mexico, when taxes on sugary drinks were imposed, purchases of these beverages were slashed by more than 5 percent in 2014, the first year of implementation, and almost 10 percent in the following year.